Collection of 'Creative Bubble Talk Inspired Products and Designs' from all over the world. 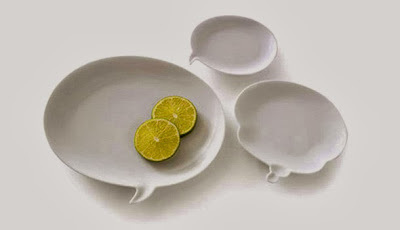 Bubble Talk Plates: These cool plates were designed to resemble conversation bubbles from Japanese comics. 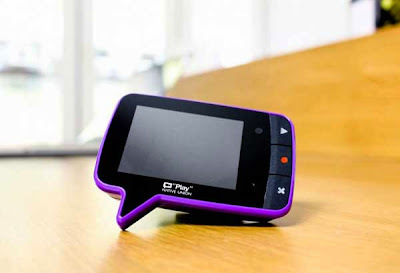 Speech Bubble Speak-er: These creative multimedia speakers can be connected directly to your notebook, computer or MP3 player. 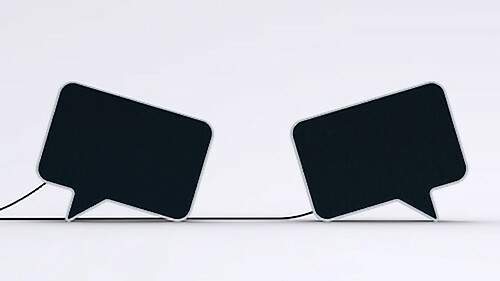 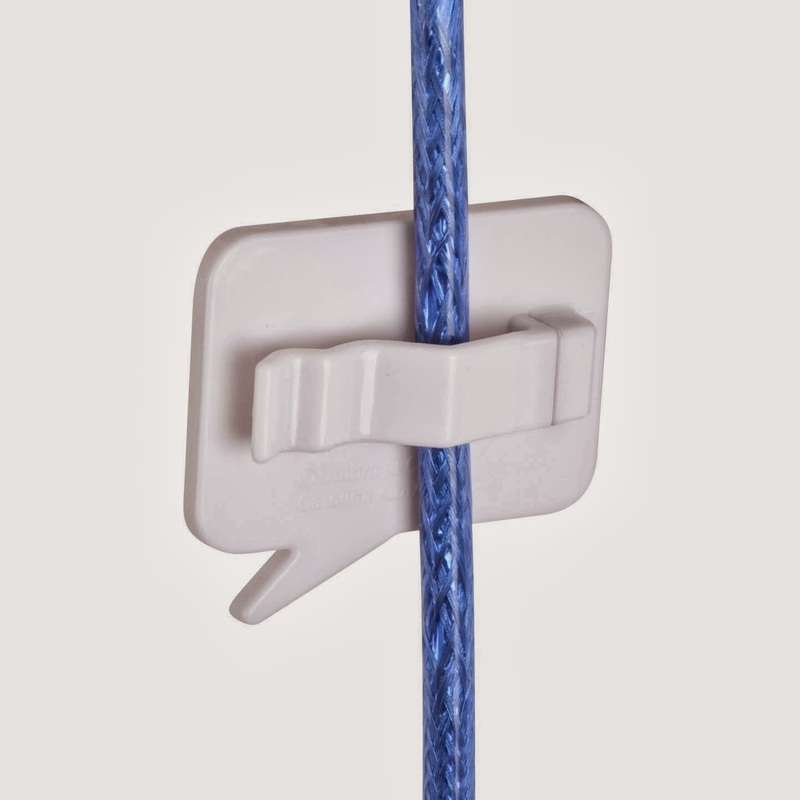 Talk Bubble Cable Management System: Designed by Carolina Kim and Matt Carr for Umbra, this Talk Bubble Cable Management System keeps the cables organized and easy-to-identify. 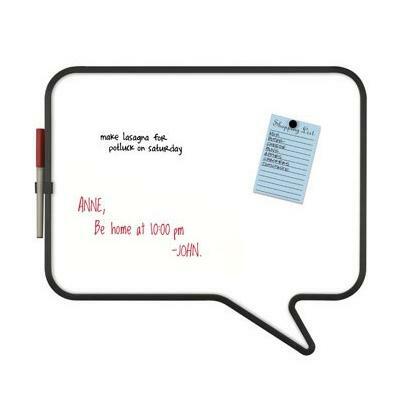 Talk Bubble Dry-Erase Magnets: Designed by Alan Wisniewski and Carolina Kim for Umbra, the set comes in 3, has glossy white dry-erase surface to write messages and wipes clean for re-use. 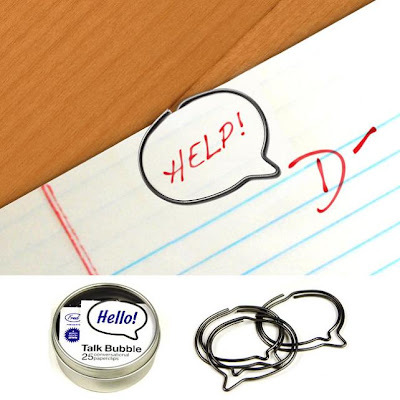 Talk Bubble: These cartoon-inspired paper clips are the perfect way to draw more attention to your notes. 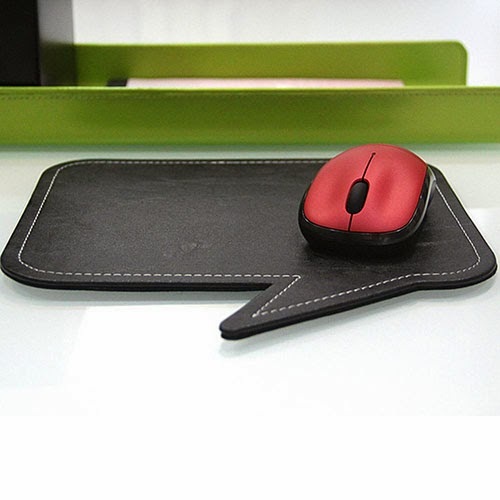 Speech Bubble Mousepad: This cool mousepad comes in the shape of speech bubble. 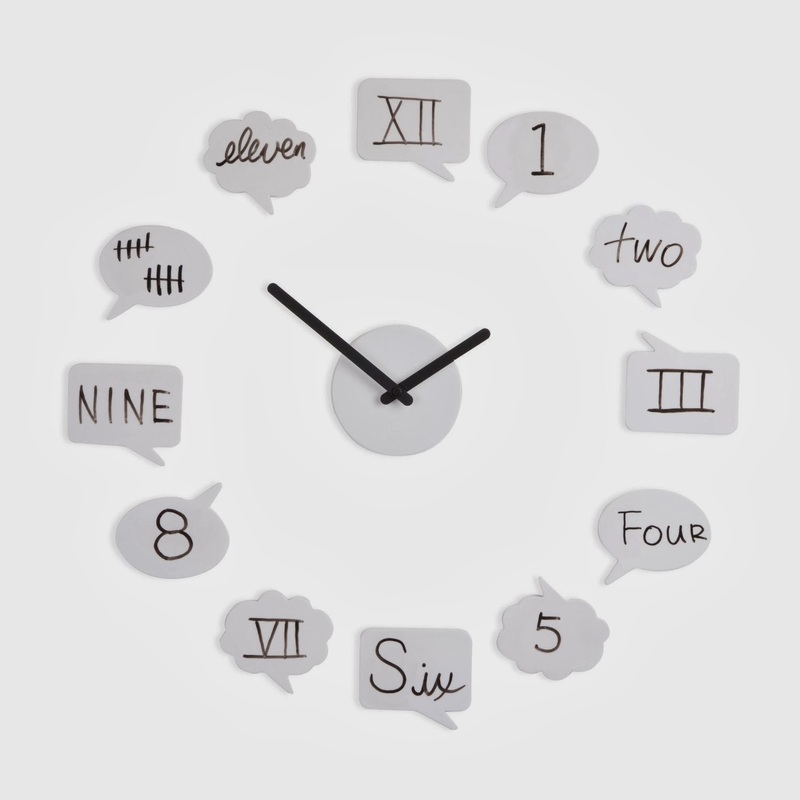 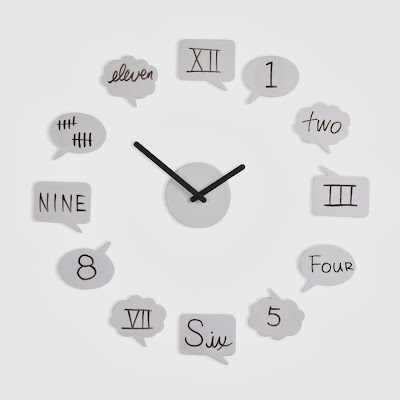 Bubble Talk Wall Clock: This Bubble Talk Wall Clock from Umbra doesn't have the standard numbers, instead it has a dozen tiny white boards to write on. 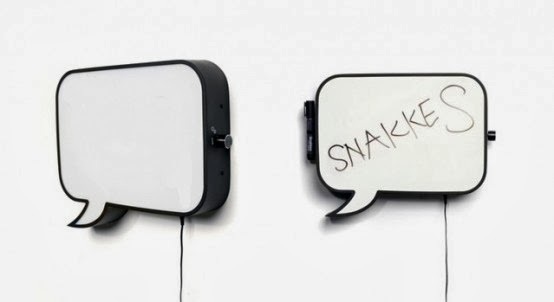 Speech Bubble Wall Lamp: Designed by Norwegian design collective, this wall fixable lamp cannot only illuminate your space but also provides space to write our message on. 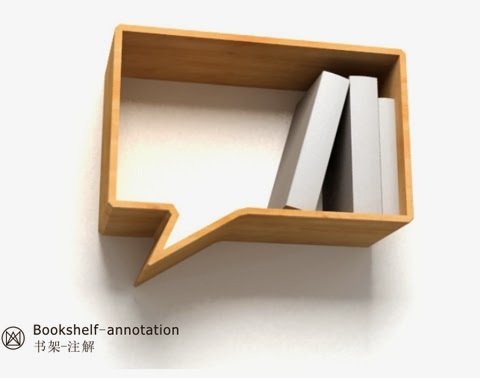 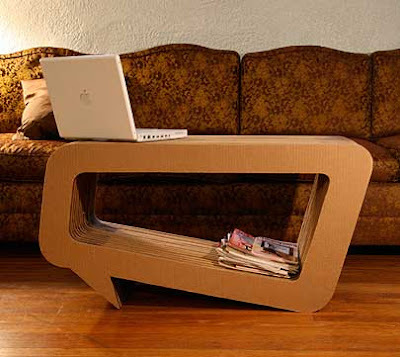 Speech Bubble Bookshelf: This cool bookshelf is shaped like a speech bubble. 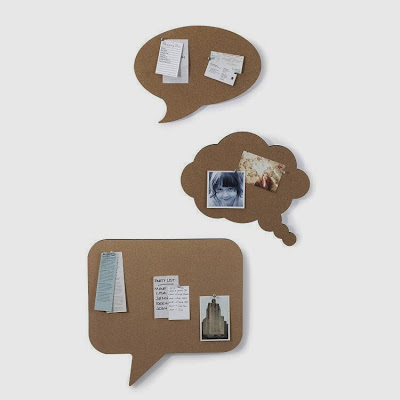 Talk Bubble Cork Boards: The set consists of three talk bubble bulletin boards so you can say it all without saying a word. 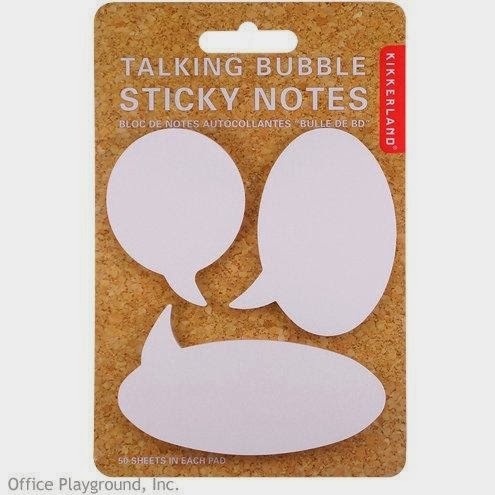 Bubble Talk Earrings: These cool earrings come in the shape of bubble talk.